The first of these appliances were removable and are still very popular. They are made of plastic and wire. Some of their names are Frankel, Bionator, and Twin-block. 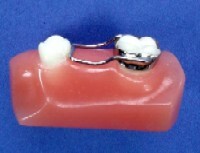 A different style is actually fixed to the teeth and uses a spring action to hold the jaw into position. These have names like Herbst and Jasper Jumper. 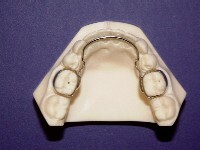 Another appliance designed to encourage the lower jaw to grow forward and “catch up” to upper jaw growth. Openbite - Anterior opening between upper and lower teeth. Overbite - Vertical overlapping of the upper teeth over the lower.